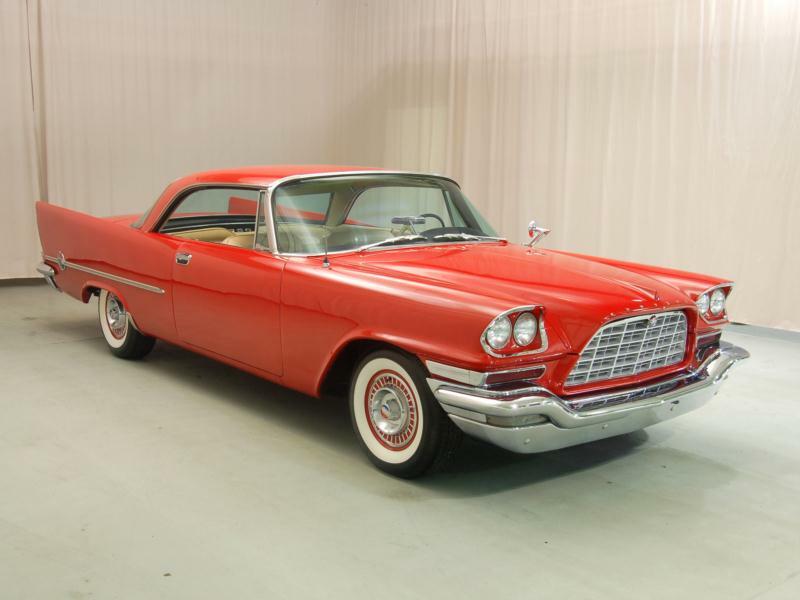 The 1955 Chrysler 300 hardtop was the first real muscle car, with 300 horsepower from its 331-c.i. Hemi V-8, 0-90 mph in 16.9 seconds, and a top speed of 130 mph. The company sold 1,725 of these homologation specials, and Chrysler dominated NASCAR. 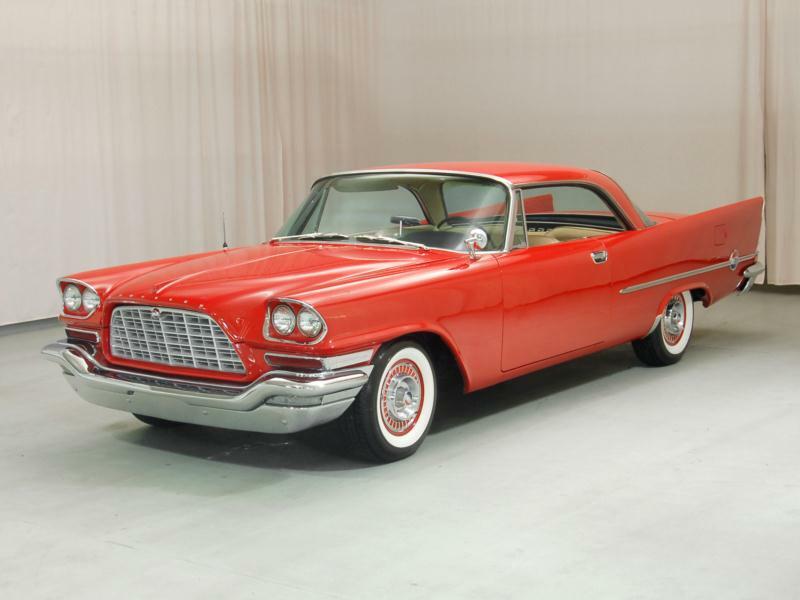 The 300B of 1956 gained 12-volt electrics and the signature fins that were applied to all Chryslers. The Hemi V-8 was punched out to 354-c.i. and 340 hp, while high compression heads delivered 355 hp—more than one per cubic inch. The 300B set the world passenger car record for speed at Daytona Beach at 133.9 mph and 1,102 were sold. Virgil Exner’s “Forward Look” hit its stride in 1957, and the Chrysler letter car’s egg-crate grille and four headlights led back to huge fins and cathedral window taillights. The 300C was unadorned, except for a single spear and the big “300” badge on the rear fender, and all were single colors. The Hemi V-8 now displaced 392-c.i. and developed 375 hp. A convertible was added to the lineup for the first time, and 484 were sold along with 1,918 hardtops. The 1958 300D continued with few changes, though an unsuccessful Bendix fuel-injection system was offered briefly, but withdrawn and replaced with dual four-barrel carburetors. Power was up to 380 hp but sales were down to 618 hardtops and 191 convertibles. The iconic Hemi was replaced by the 413-c.i. 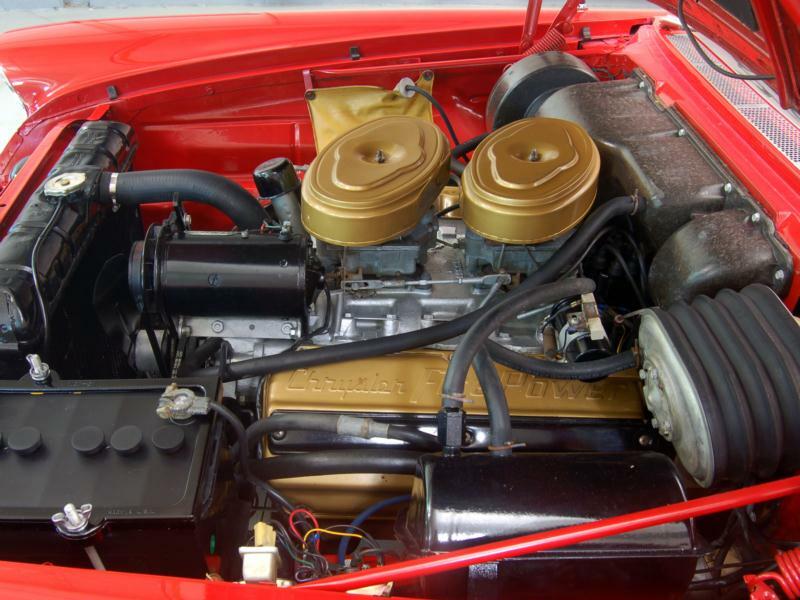 Wedge engine on the 1959 300E, claiming the same horsepower. The grille was changed and swivel bucket seats were a new and desirable option. This year saw one of the model’s lowest sales figures, with 550 hardtops and 140 convertibles trading. The 1959 model year also marked the last use for a separate frame on the letter cars. The 300F’s fins grew to even wilder proportions in 1960, starting at the front of the door and terminating with V-shaped taillights and a “bird-bath” faux spare on the trunk. The 413-c.i. Wedge V-8 received cross-ram induction and the highest horsepower motor made 400 ponies. Sales rebounded to 964 hardtops and 248 convertibles and at least 10 cars were fitted with the French Pont-a-Mousson 4-speed. Chrysler 300Fs were timed at a remarkable 145 mph at Daytona. The 300G of 1961 would be the last “big fin” car, and the front was heavily modified to accept angled headlights. Some 3-speed cars were built, and sales climbed again to 1,280 hardtops and 337 convertibles. 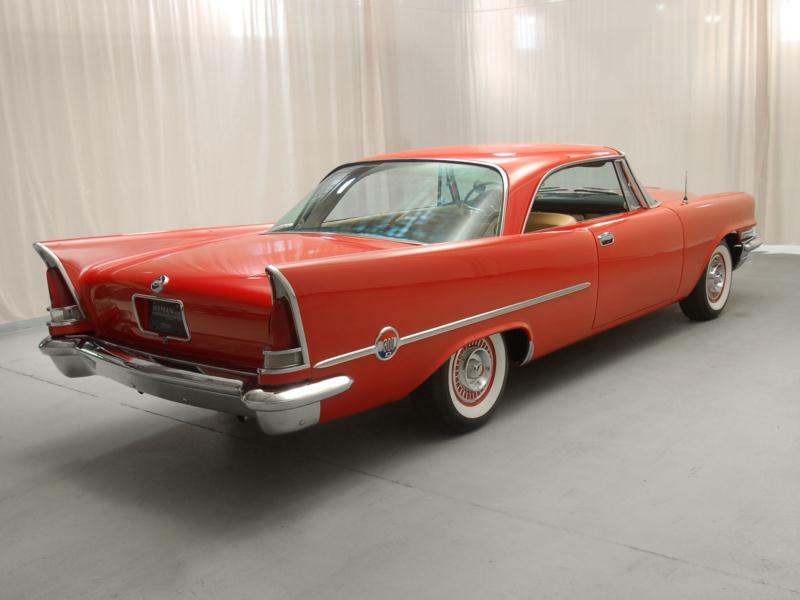 Chrysler broadened the range in 1962 with a “non-letter” 300 Sport series. These cars were basically a Windsor replacement, with sedan, hardtop, and convertible body styles. The 300 Sport lacked the fire-breathing letter car’s performance but looked the same. This diversification of the name hampered 300H sales, with only 435 hardtops and 123 convertibles selling. The grille remained the same as 1961, but the rear fenders were de-finned. 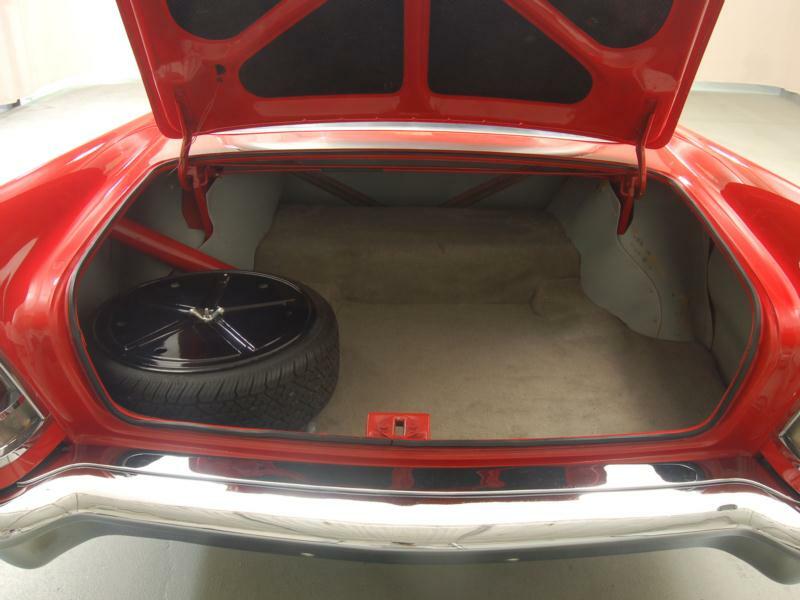 A complete redesign arrived in 1963, with the result being a much flatter, square car. The 300 Sport series continued, now further confusing buyers by offering “Indy Pace Car” packages as well. 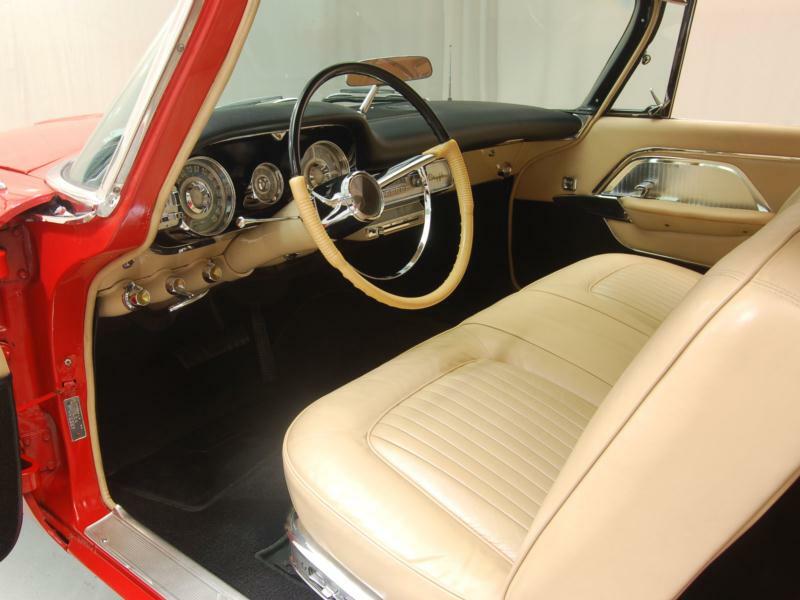 The 300J was no longer offered as a convertible and only 400 hardtops were sold. The shape was little changed for 1964, but the 300K staged a surprising comeback; a convertible returned to the line and 625 were sold along with 3,022 hardtops, beating 1957’s record to become the most popular of the letter series cars. By 1965, the Chrysler 300 letter brand had been diluted by all the various models offered as plain 300s. The 300L sold quite well, with 2,405 hardtops and 440 convertibles but it did not hold the same magic as the more exclusive early cars. Chrysler ended production of the letter series with the 300L, and there was no 1966 letter car. Never common, Chrysler 300 letter cars have a dedicated following, and their performance goodies can be costly. Be aware that most were run hard, and rust is a serious problem. They are also enormous by modern standards, so measure your garage first. Once you do find one, drive this “business man’s express” with confidence, knowing that there isn’t another Jet Age American car on the road that can keep up.